Why should fleet maintenance be important to you? If the vehicle is not properly kept up and is later involved in an accident, the owner and their assets are exposed. As the owner of the company, these vehicles are assets. If your assets are inoperable, there is a potential for loss of income. All vehicles diminish in value over time; however, keeping them functioning properly can help them maintain their value. For example, the owner of a landscaping company has 5 trucks operating at full capacity in the summer months. They neglect to have the brakes properly maintained and one of the trucks is involved in an accident. The truck is now out of commission, there may be injured employees and the owner needs to figure out how to make up the loss of income since it’s peak season causing loss of business income. Not to mention liability to a third party in an at fault accident. A worst case scenario was the limousine accident in New York this past fall that killed 20 people. The limo was severely overdue for maintenance and was operating without credentials. The owner lost his business as well as suffering the guilt of knowing it was likely preventable. The best thing to do regarding fleet maintenance is to have a plan. Schedule regular maintenance. Put it on the calendar! Take care of it on a rain day or a weekend. Contract with a local shop that guarantees a maximum one-day turnaround. The goal is to keep your fleet running safely which protects employees and third parties and helps the business run efficiently. Most business owners have at least one workers’ compensation story they can recall because of the nightmares it caused them. It’s no surprise when 39% of employees will never return to work for their employer after a muscular back injury. The following strategies can help you take a proactive approach to controlling your workers’ compensation experience. Ever heard of a new employee submitting a back injury claim six months after they’ve been hired? Aside from paying increased premium rate for years to come, the added emotional stress for a business owner impacts their life both at work and at home. Implementing a smart hiring process is one of the keys to uncovering information necessary for selecting the best fit candidate. Business owners know that safety is important, but they often don’t have the time and resources to develop a high quality, results driven plan. Safety training is an investment in future productivity, time saved and increased profits. “The Cost Clock” of a work comp claim starts as soon as a workplace injury occurs, whether the injury is reported or not. An incident action plan lays out clear lines of communication, defines responsibilities and sets expectations. 98% of injured employees are entering the work comp process for the first time. Employee recovery assistance prevents resentment by displaying a company’s commitment to the health and wellness of its employees. If an employee returns to work within the first 3 days of being injured, the insurance company does not need to pay for lost wages and the claim will not impact your E-Mod in the State of Oklahoma. Depending on the degree of the injury, the employee could possibly return to work on light duty status. Light duty can save your company premium dollars and creates opportunities for employees to learn about the roles of other coworkers and how their job fits into the bigger picture. This also makes communication with supervisors and monitoring of healing an easy task. Workers’ Compensation is the most controllable form of commercial insurance and is designed to help employers, not keep them up at night. 365WorkComp, a specialization of Professional Insurors, helps businesses take control of their workers’ compensation program by using a year-round, proactive approach so you can focus on doing what you love – running your business. 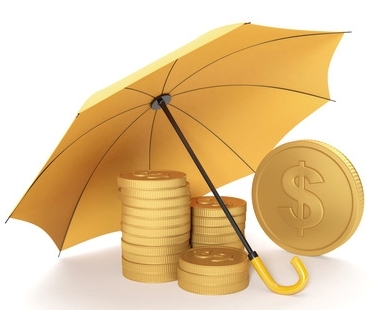 Most commercial property insurance policies are written on a Replacement cost basis. This means that if you have a roof loss and it requires your roof to be repaired or replaced, the insurance carrier will pay what it costs minus your deductible to repair or replace your roof damage. The main stipulation to get replacement cost is that you repair or replace the roof. If you choose not to repair or replace at that time, you will only be paid the actual cash value. Actual cash value is the depreciated value of the roof. In simple words, you won’t be paid for what you don’t do. Even with a replacement cost policy there is often a potential exception to getting paid replacement cost. Most policies contain language or an endorsement that states that if the roof is over 15 years old, then a claim would be settled on an actual cash value basis. In other words, you would only be entitled to the depreciated value of the roof. 15 years is currently the standard but occasionally you will see the limitation of 10 or 5 years. Once a roof is 15 years old or older, it is nearing the end of its life. In most cases, the insurance carrier believes that a roof over this age is more vulnerable to damage and the roof probably already has some wear and tear. Insurance does not pay for wear and tear. No one likes surprises, but there is a silver lining. If you are not aware of this wording at the time of loss, it can be disappointing to learn that you will only be receiving 50%, 60% or 70% of the cost of a new roof minus your deductible. But on the bright side of things, you were within a couple of years of having to replace your roof out of your own capital account. Getting a significant portion of that upcoming cost paid by an insurance carrier is still a pretty good deal. How is the age of the roof determined, I have not owned the property for 15 or more years? Obviously, documentation of when your roof was installed or replaced is the best determination, but often 10-15 years later, that information is not available. If the information is not available, many times an inspection by an adjuster and a roofer can make the determination. When it is still not clear, the carrier may engage an engineer to perform a roof analysis and take samples to a lab to make the determination. When this occurs, the carrier is not trying to deny or avoid cost, they simply want to do the right thing for you and the right thing for them. Insurance companies are not a government program, they are a business too! And just like you with your customers, you want to provide what you promised but also not give services away that you did not agree to. Advise on settling a claim. My advice to my clients when they have a loss and are working with contractors and adjusters is, “Act like you are paying the claim out of your own check book.” If you approach the repairs or replacement like you are paying the claim out of your pocket, it always seems to work out for everyone. No matter the size of your landscape or construction operation, make sure you have business personal property coverage. Most landscape companies I work with engage in the irrigation business. And most of them will have a trailer full of valve, pipe, wire, etc needed to complete any irrigation job. Well your standard Inland Marine (Equipment) policy is not the answer to insuring those components. Ask yourself how safe your trailer is when you are not around. This could be in the middle of the day when you are in someones backyard or it could be at night with your trailer hooked up to your truck so you can get an early start in the morning. Put a value on the amount of contents you may have on your trailer at any given time. That amount should be listed as business personal property away from premises. Another options is to purchase a Installation Floater that will cover all of your material and equipment to be installed the job. This coverage is not expensive and will help you recover some of your loss in the event your whole trailer is stolen. We have several claims every year for stolen trailers.